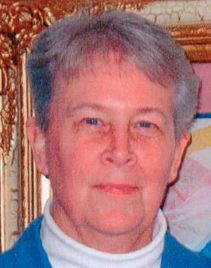 Susan Mary Dieckmann, 75, of Greenfield, Wisconsin passed away on March 27, 2019. Susan was born in Chicago, Illinois on September 16, 1943. She entered into religious life with the School Sisters of St. Francis Community, Milwaukee, Wisconsin as a teenager and made final vows with the class of 1962. Sue graduated from Alverno College with a major in Elementary Education and a minor in Art. In 1972 Sue left the Community as a vowed Religious and has continued her involvement as a part of the SSSF Lay Associate Program. Susan started her teaching career in the early elementary grades in several parishes in the Chicago area. In 1970, Susan, along with several other School Sisters began ministering in a new educational adventure sponsored by the Priests of the Sacred Heart in Holly Springs, Mississippi. The program serviced children from economically disadvantaged homes. In addition to her teaching responsibilities, Susan continued to expand her multi-media art talent, engaging in watercolor, oil, and ceramics. Her greatest passion, however, was wood carving and over the years she brought well over 500 pieces of wood to life; among them several large commissioned pieces for churches, schools, offices and retreat centers in Northern Mississippi, Missouri, and California. Sue continued to live and minister to the community of Holly Springs until moving to Clement Manor in Greenfield, WI in the spring of 2012. Susan is survived by her brother Dan, a resident of Glengowrie, South Australia, and many friends. She is preceded in death by her parents, Mary and Frederick Dieckmann, and a baby sister, Ann. A Memorial Mass will be held at 10:30 AM in the Chapel of Clement Manor Retirement Community, 3939 South 92nd Street, Milwaukee, Wisconsin on Friday, April 26, 2019. Visitation will be from 9:30 AM to 10:30 AM. In lieu of flowers, memorial donations may be given to the School Sisters of St. Francis – Lay Associate Program, 1545 South Layton Boulevard, Milwaukee, WI 53215. Susan’s family and friends wish to express their appreciation for the four years of wonderful care provided to Susan as a resident in Clement Manor’s Memory Care Unit. I have such fond memories of my visit to Holly Springs and the summer is spent teaching there back in the 1970s. Susan, Audrey, Sheila, and Cathy, all made me feel welcome. I treasure a small piece of framed art that Susan did. The powerful, bubbling of Creativity and Life that was Susan has been released! I know her life continues---Free at Last!